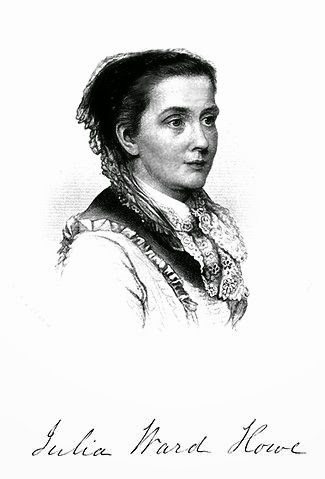 Julia Ward Howe wrote the poem "The Battle Hymn of the Republic" in 1861, after visiting a Union Army camp. It quickly became a very popular patriotic song, set to the music of an earlier song, "John Brown's Body," about abolitionist John Brown. The sung version contains a chorus not in the poem. It is interesting to note that many modern versions of the song have changed the lyric "let us die to make men free" to "let us live to make men free."